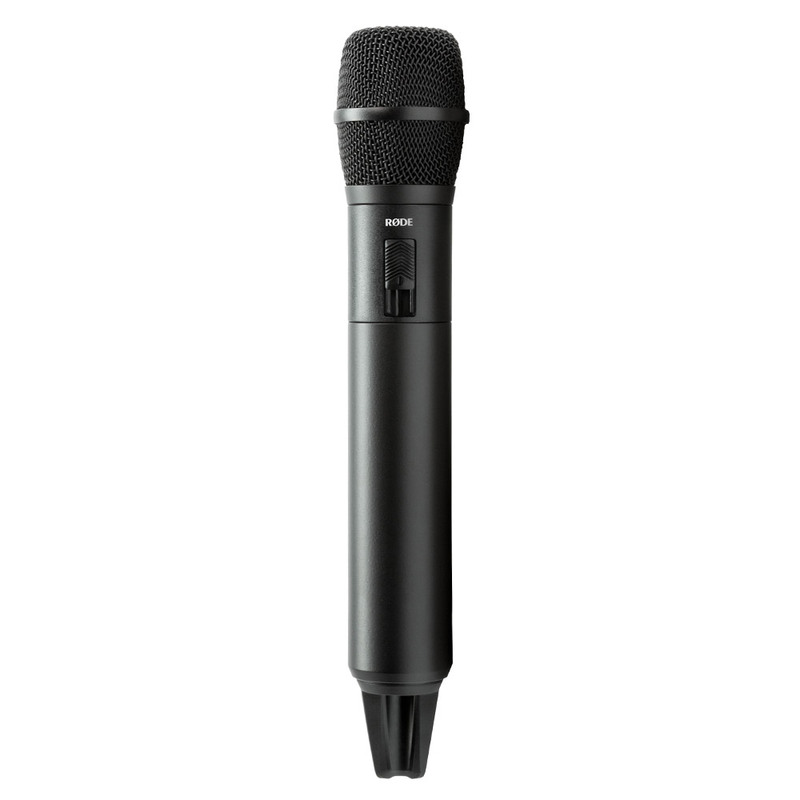 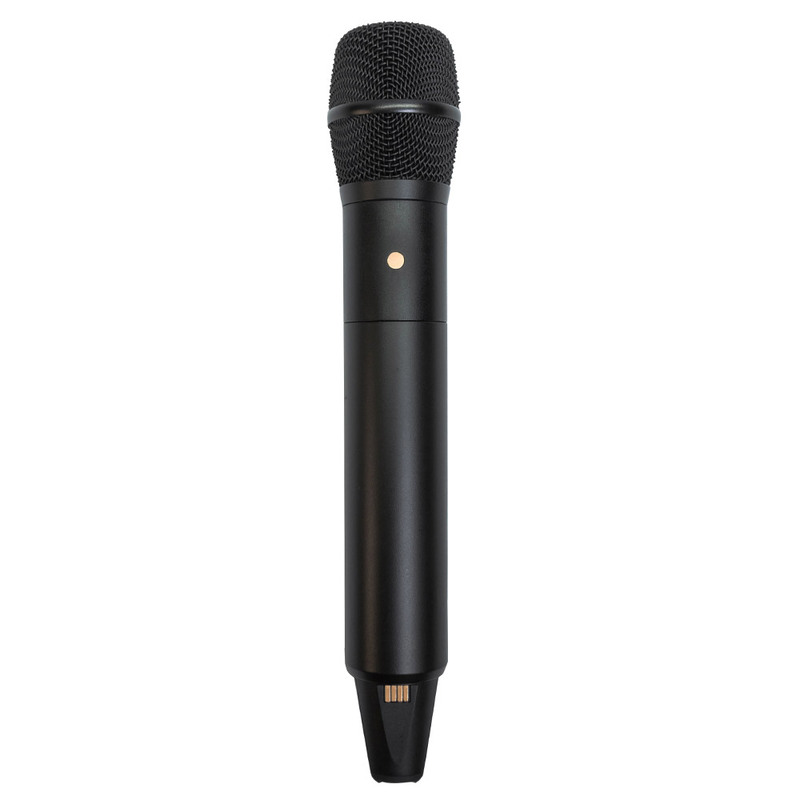 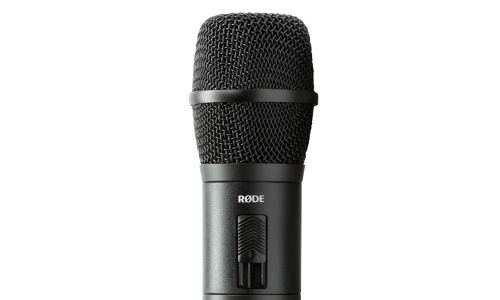 Easy pairing and low handling noise make the Performer Kit TX-M2 the right microphone for presenting in schools, lecture halls and conference centres. 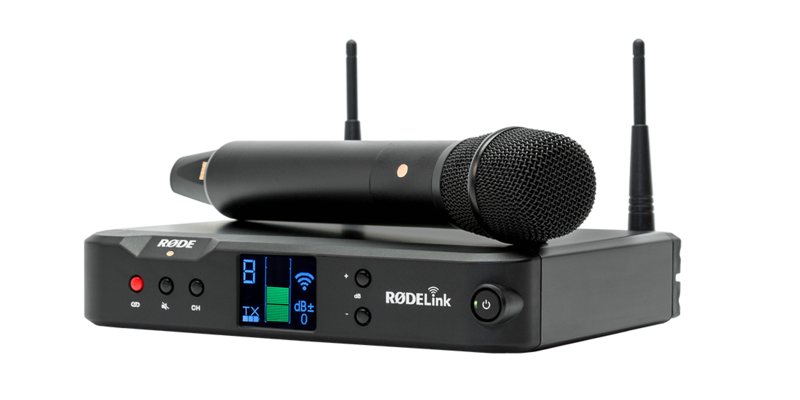 Up to RØDELink eight mics and receivers can be used in the same space without a problem. 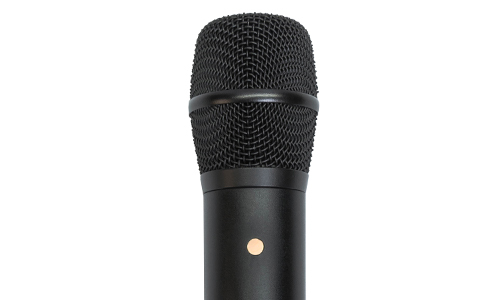 The Performer Kit’s TX-M2 microphone’s low handling noise and balanced body is made for comedians, singers, speakers – anyone about to rock the house. 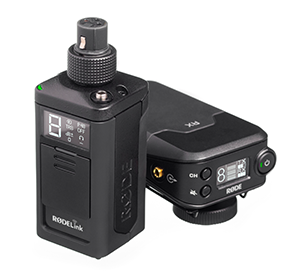 A fully charged RØDE LB-1 battery performs for over 10 hours. 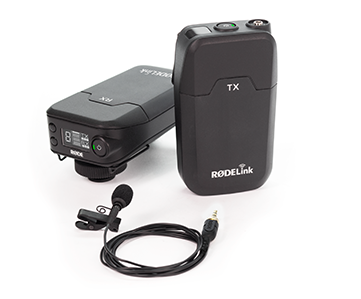 In wedding chapels and Houses of Worship, professional emcees and novice newlyweds will sound as sweet as love through the TX-M2’s condenser capsule and RX-DESK’s adjustable 40dB gain adjustment range. 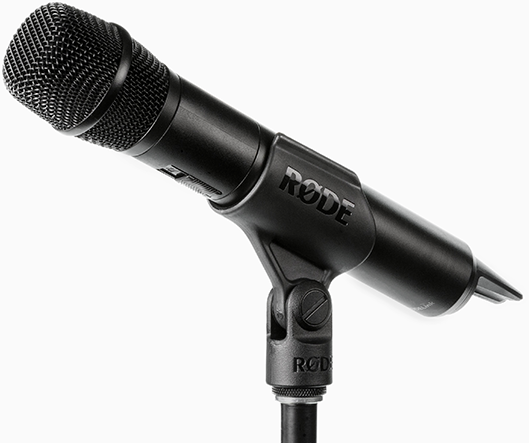 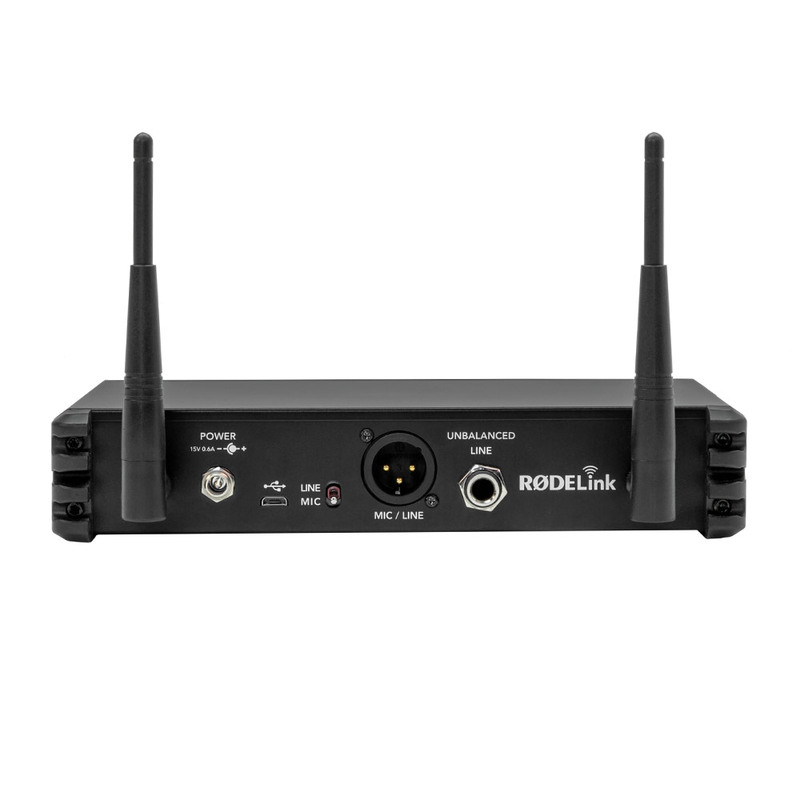 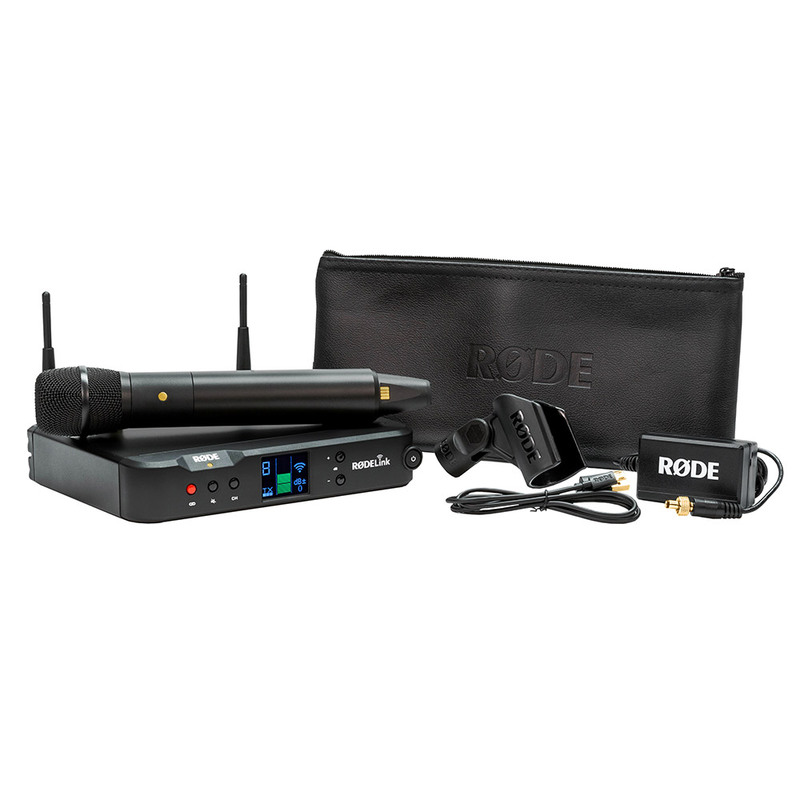 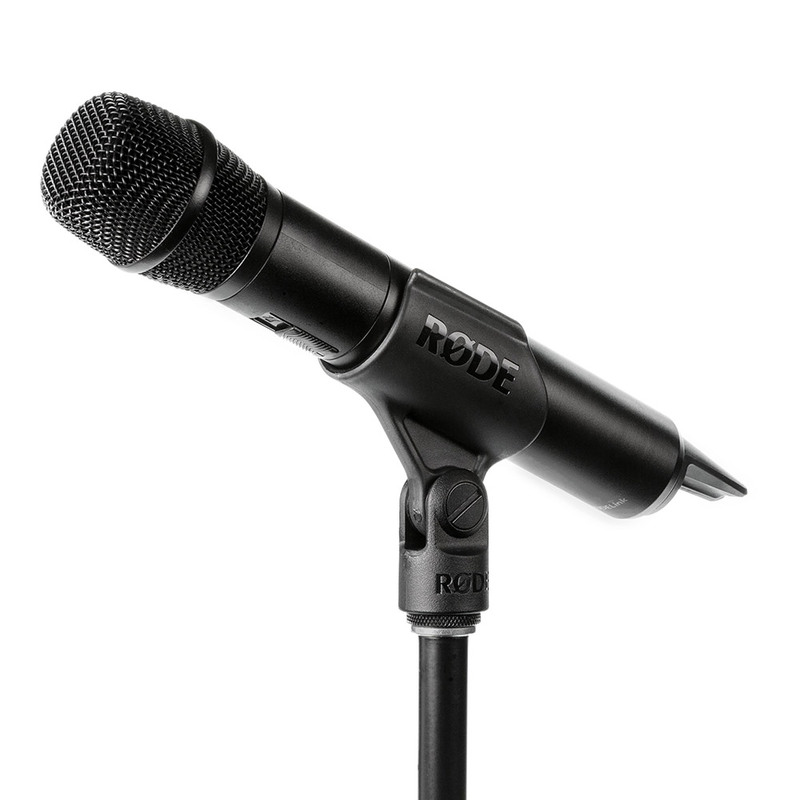 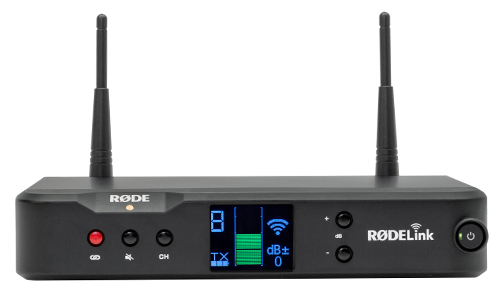 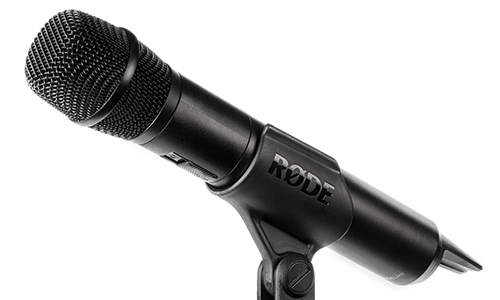 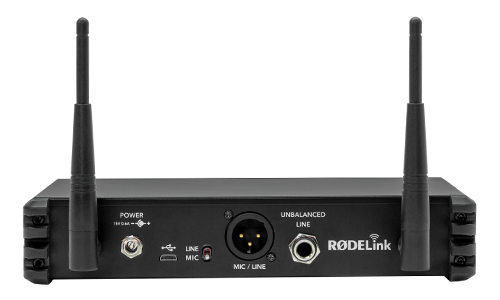 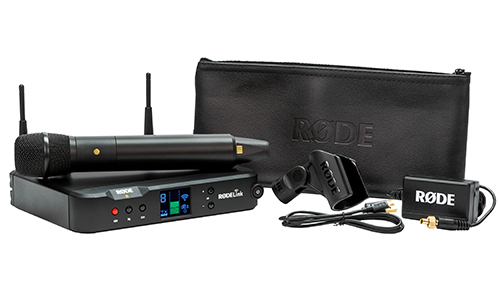 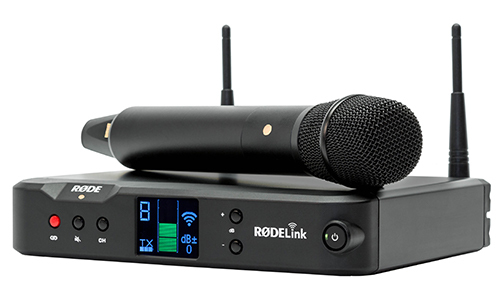 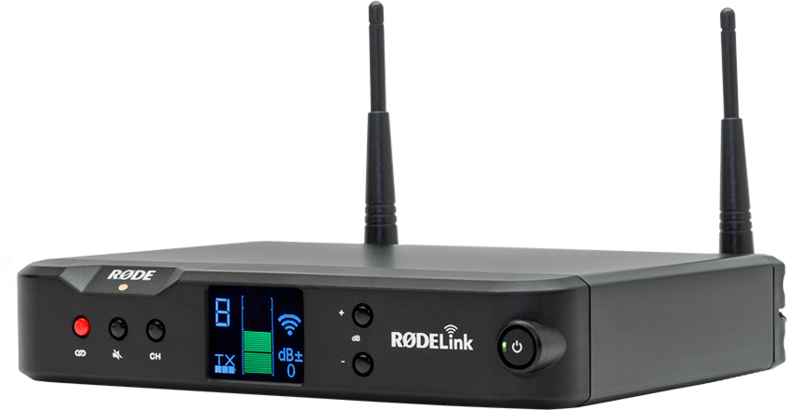 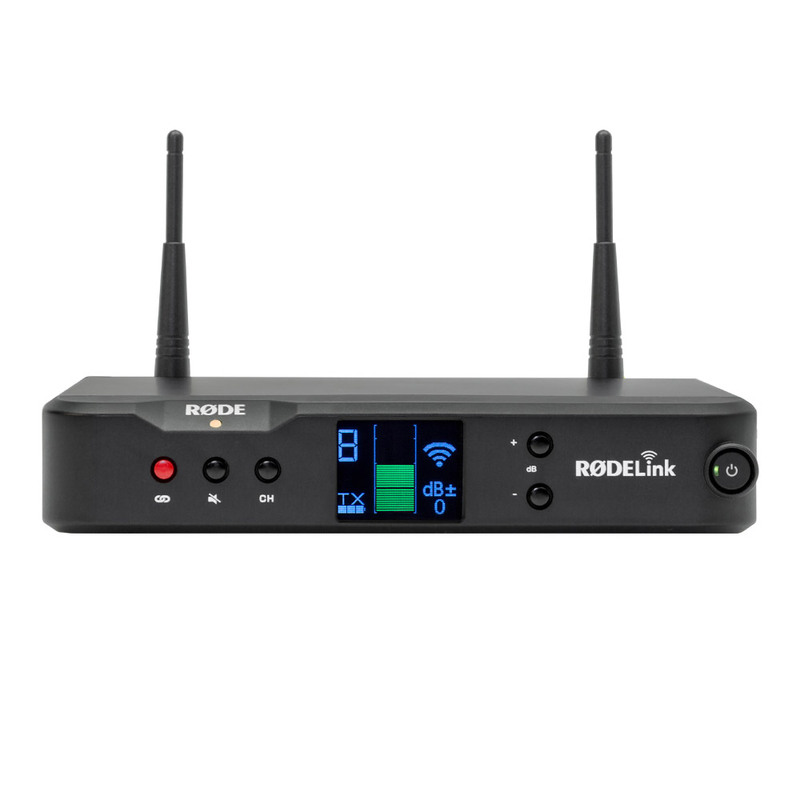 The RØDELink Performer Kit is RØDE’s stylish, crystal clear handheld wireless microphone and receiver combo so intuitive it works straight out the box, with no channel selection necessary. 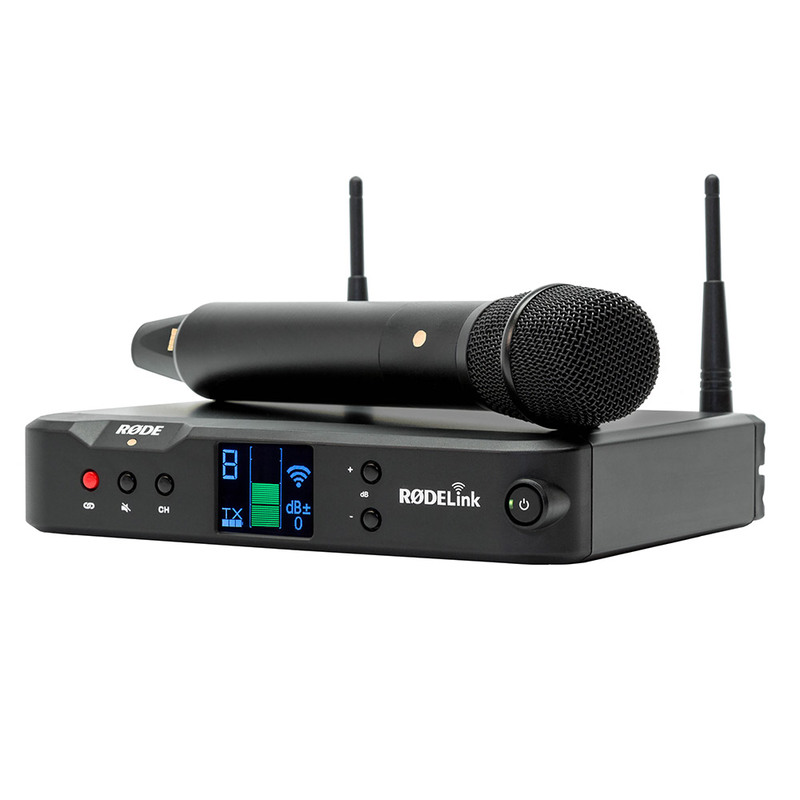 The Performer Kit comes with TX-M2, RX-DESK, LB-1 Lithium-Ion Rechargeable Battery, microphone clip, microphone case and Micro USB Cable and includes a 2-year extended warranty.